Red doors. I have always been fascinated with red doors. Always. When my family go back to the Philippines to settle down, I have already visualized a dominant red door for our house. 2) doors are mystical – they put boundaries or they connect two different dimensions. This is very personal and timely for me now. I was going on a Bukhansan Hike with 2 friends and found this red door in one of the houses along an alley in one of the paths going up to Bukhansan. On a night stroll with my husband and sons, we found this huge red door in Hongdae. I found this red door beside the Sanmotoongi Cafe at Boam-dong. The gate was locked so I contented myself with pointing at the red door. Still at Boam-dong, I found this red door (more of a gate). This one was nearer the Baeksasil Valley where we had a good Autumn hike. It took this fiery red door for me to give Holly’s Coffee a serious look. It’s actually everywhere in Seoul. This one’s located near Exit 3 of Gyeongbukgong Station on my way to meet friends to eat at Tongin Market, a must-go-to place when you want to experience Korea’s traditional market and food. No matter how many times I go around Sangsu-dong, there’s always something new to my eyes. 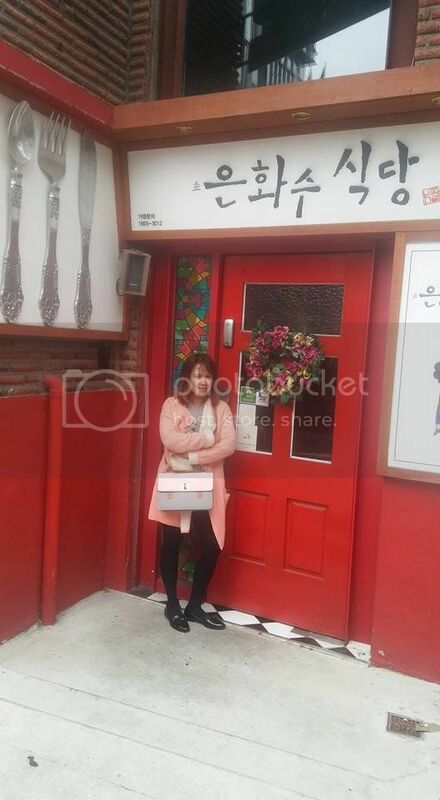 Or come to think of it, this restaurant has always been there but I only got to notice this Korean restaurant when I was consciously on the look-out for red doors. Recently, hubby and I got lost in Hongdae while looking for this French restaurant called L’Empreinte. And sometimes, getting lost is a good way of discovering places. And so, I got another red door at Red Big! I am so looking forward to seeing more red doors. It has become a fascination. And while I am looking forward to seeing more of these reds, I allow my thoughts to venture into… do I use these doors to welcome and connect? or do I use them to firmly set boundaries? Just curious, is your fascination with doors limited to red ones? Or will you be doing photo essays of other colored doors as well? I love your hunt for red doors! 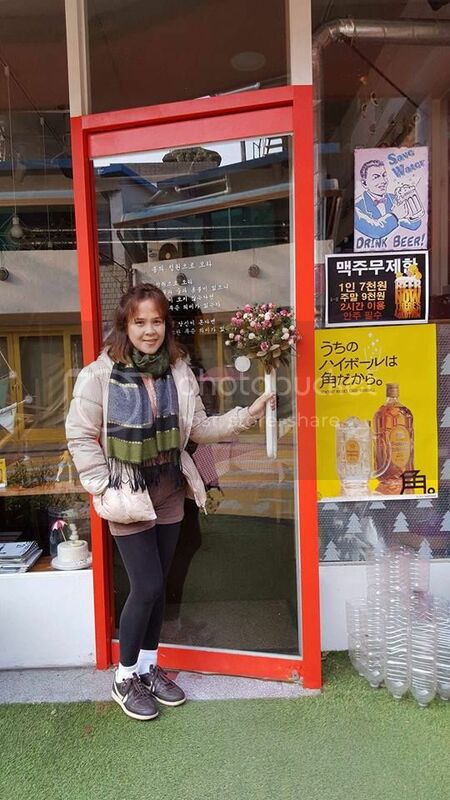 There are so many cute places around Seoul and quirky looking buildings. I hope you manage to find a house with a red door one day! I never really pay attention to doors but after reading your post I think I will start to look at them differently – what a unique hobby! I love the first picture on your way up to Bukhansan, the door looks so elegant! 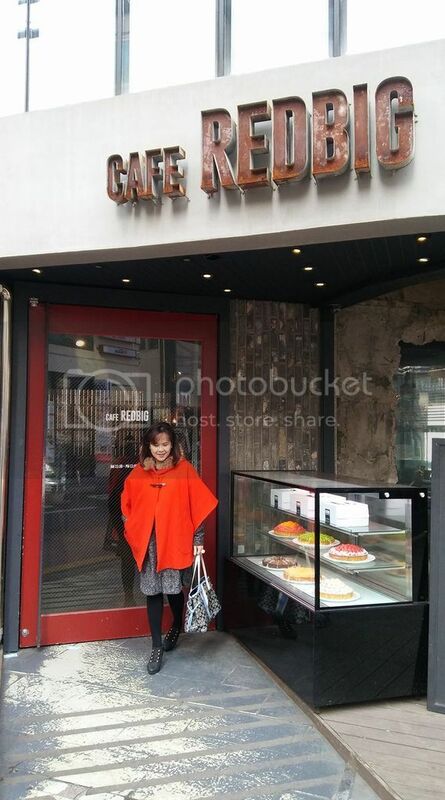 Well hello there red lady… haha.. I’ve been to Cafe I do at Hongdae, and I also have a photo with their red door. I won’t judge you for having a fascination on red doors, the important thing is, it makes you happy. Next time I see a red door, I will definitely remember you. yay, there’s nothing to judge. it’s a simple fascination with red doors:-).